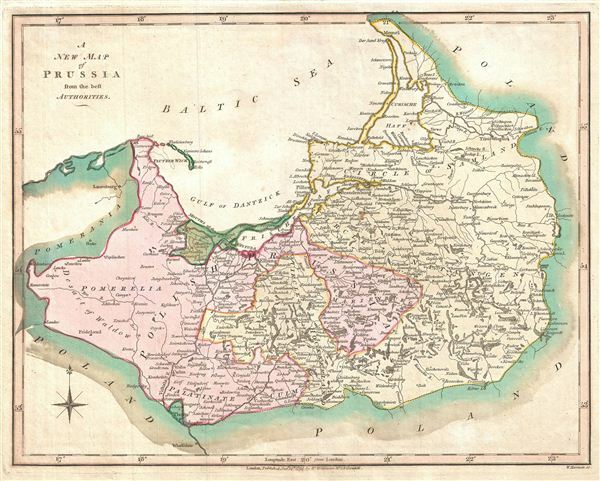 A New Map of Prussia from the Best Authorities. A finely detailed first edition 1794 map of Prussia, by Robert Wilkinson. Shows Holy Roman empire Circles, the Palatinate of Culm, Pomeralia, and Polish Prussia.